Growing up as a kid when you’re working on that jumper at the park, the dream is always playing for your hometown team and hitting that game-winner in front of your friends and family. Few players get that chance but the ones who have had the opportunity know it can be a lot of pressure—just ask D. Rose. 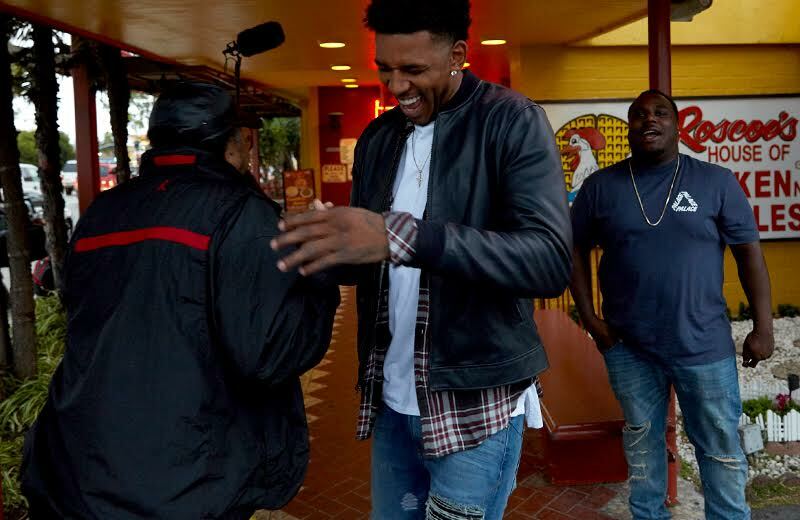 Nick Young is a L.A. native, playing his high school ball there and then choosing USC for college hoops, keeping it close to his roots. After he signed with the Lakers in July of 2013, Swaggy P got his chance. He was quickly catapulted in the limelight in one of the most intense basketball markets in the NBA and put up an impressive 17.9 points a game in his first season rocking gold and purple. Ball is life for Young, but off the court he quickly got a rep for being one of the most entertaining and stylish dudes with his laid back and joking demeanor. He truly was built for that Hollywood life. His rep for having a lot of sneaker heat on the court always had sneaker sites watching to see what he could pull out next. Last month when he penned his name to an adidas contract, he showed his allegiance to The Three Stripe by balling out in a pair of the Yeezy Boost 750s in the initial grey colorway and a few weeks later he broke out the all-black joints. Having one of the most credible athletes on your roster is a great look for a brand and while there are a lot of athletes looking to make noise with their style off the court, few players are really respected by the masses on social media when they step off the hardwood. adidas knows though—just like Kanye and Harden, Swaggy is going to help bring attention to the lifestyle aspect just as much the performance kicks. Finish Line had the privilege of following Nick Young around as he showed us the gym where he got his game and told us about the moment when he knew he was going to make it. Old friends he used to ball with had no clue he was sliding through. Even though he hadn’t seen a few of them in a minute, he picked up right where they left off, asking about kids and families. Real friends, how many of us have them? Young proves that business hasn’t changed him; he’s still the same guy hitting up Roscoe’s with the squad to grab the Obama Special and just have some laughs and a good time. 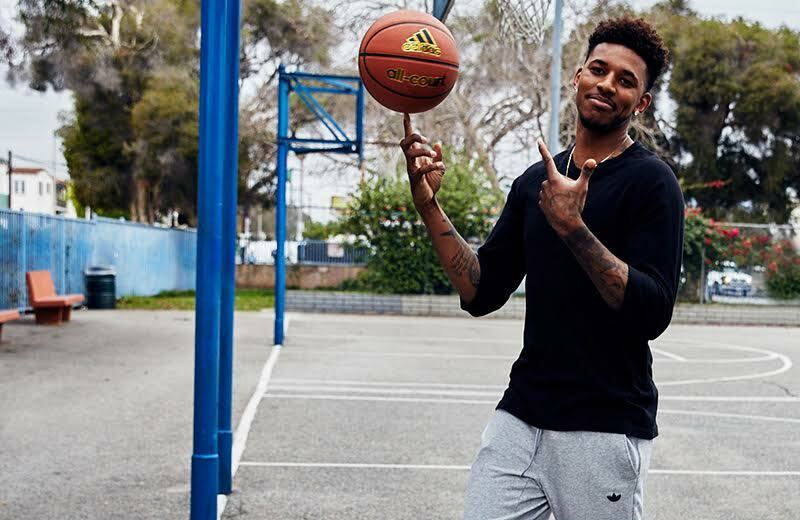 Be on the lookout for our official photo shoot with Swaggy P coming soon and a few adidas Originals classics in some new colorways that you might not have seen yet—unless you follow us on the Snap (FinishLineUSA). adidas T-Mac 3 "Aurora Borealis"